Marketplace lending is one of the biggest disruptions faced by the Australian financial sector. It is the democratisation of consumer lending, and promises to shake up a market dominated by a small few. While it may have had a slow start on these shores, competition is growing. SocietyOne has just made a major hire from US company Lending Club (who raised US$1 billion at its initial public offering), and they’re backed by James Packer and Lachlan Murdoch. What’s more, a Melbourne-based marketplace lender is expected to launch soon, joining the likes of RateSetter, LendingHub, DirectMoney and MoneyPlace. Is it any wonder that Australians are waking up to the potential of marketplace lending, both as borrowers and investors? The World Retail Banking Report 2015 by Capgemini and Efma found banks are increasingly failing to meet customer expectations. Digital upstarts are stepping in to fill the gap. They’re generally more agile, innovative and customer-centric. How has some of the sector reacted? By telling Australians to be wary of marketplace lending. Yet, we’ve only had positive experiences. We added RateSetter to our lending panel around four months ago because we wanted to expand our offering and provide more competitive rates to our customers, and the numbers speak for themselves. We recently helped a client refinance their $18,000 car loan and got a 4.8 per cent interest rate over two years with RateSetter. The client was paying 16 per cent originally, so the saving was significant. We also wanted a better service, and RateSetter has provided a dedicated senior assessor who deals with all our applications. We’re no longer just a number – we get a more personalised service plus greater ownership and accountability. What’s more, the application format is easy to use, and the feedback we’ve had from both clients and brokers has been positive. The ‘Uberisation’ of financial services is here to stay, and it’s providing some exciting opportunities for consumers to get a better deal, and for brokers to help them find it. It also won’t be too long before marketplace lending tackles mortgages in this country. Watch this space. 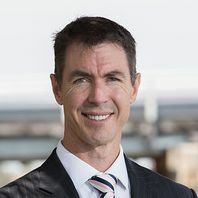 Paul Walshe is the founder and managing director of Fair Go Finance, providing personal loans to everyday Australians and a dedicated service to brokers via PL Broker. As chair of the National Credit Providers Association, Paul is committed to establishing understanding and acceptance of the micro-lending industry in Australia.